Mammals, amphibians, fish, reptiles, birds, and even insects will migrate at some point. Animal migration usually occurs on a seasonal basis. Some groups of animals travel for food while others are just trying to find a more suitable home. These animals will go a long way or sometimes even at a short distance. But, what if they travel to the city? Worst, they took a journey to settle in your backyard? What would you do? Here are the top thirty animals that chose to live nearby and took over public places. You wouldn’t believe these animals! Check them out below! 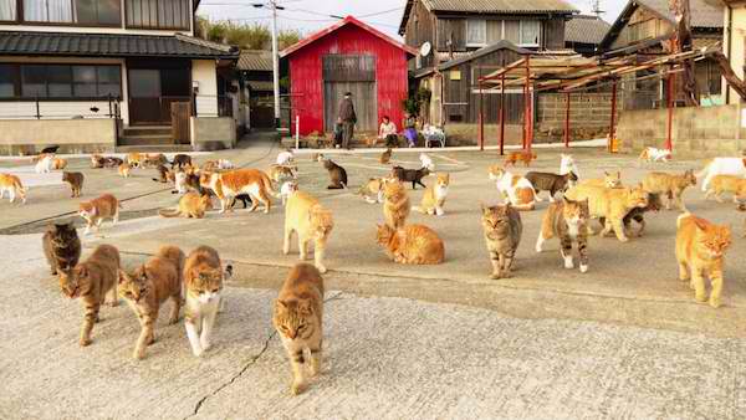 There is a place in Fukuoka, Japan where cats are allowed to stay. The site is actually a fishing town. But since the cats arrived, the area turned into a place where fishermen and cats co-live. And it has become a tourist attraction too. Seriously, it is such a cute, quaint town with cats roaming around.